Zavodnick, Zavodnick & Lasky, LLC > Blog > Workers' Compensation > What Happens After You Have Won Your Workers’ Compensation Case? What Happens After You Have Won Your Workers’ Compensation Case? You injured your back while working. After you were hurt your employer and its insurance company elected to fight your workers’ compensation claim, but after appearing before the workers’ compensation judge and presenting medical evidence in support of your petition, the judge decided the claim in your favor and awarded you past-due compensation benefits as well as ongoing workers’ compensation disability payments. So what happens next? Generally, barring an appeal and grant of supersedeas by the workers’ compensation appeal board, which is beyond the scope of this blog post, you will receive payment under the judge’s decision within 30 days of the date the decision was issued. Under the law, the insurance company has to pay 10% interest on all benefits that have accrued as of the date of the decision. In other words, if you are injured on September 10, 2013 but your claim is not granted until September 10, 2015 and you have been awarded wage loss benefits from September 10, 2013 through the date of the decision and ongoing, the insurance company must pay 10% interest on the benefits that accrued between September 10, 2013 and September 10, 2015. The insurance companies often “forget” to do this, so be certain to check with your attorney to make sure the interest payments are included. Your lawyer will receive his/her share of the award directly from the insurance company, so you do not need to worry about writing any checks or setting any money aside to pay your attorney. Once the initial award is paid, the insurance company will then begin paying you workers’ compensation benefits on a weekly or bi-weekly basis, depending on how you were paid before you were hurt at work. The attorneys’ fees will be deducted from each check issued by the insurance company and paid directly to your lawyer. Your workers’ compensation rate will be set forth in the decision by the judge, and is based on your pre-injury average weekly wage, subject to a state maximum which is $951 for the year 2015. The insurance company will also be responsible for the payment of all reasonable and necessary medical expenses that are related to your accepted injuries. How Long Do Your Benefits Continue? Under Pennsylvania law, there is generally no limit to the length of time that you can receive wage loss benefits. However, there are several ways that your benefits may be modified, suspended or terminated under the law. Some of the most common ways are explained below. If you return to work at any point following your work injury, whether for the pre-injury employer or another employer altogether, the insurance company will no longer be required to pay you total disability benefits. If you return to work making the same or more money than you made before you were hurt at work, the insurance company can issue a document suspending your benefits, or petition a judge to suspend your benefits because there is no longer any wage loss associated with your injury. However, if you return to work but are unable to earn the same amount of money due to your ongoing injuries and limitations, the insurance company is required to pay you 2/3 of the difference between your pre-injury average weekly wage and the wages you are earning post-injury. As an example, if you earned $1,000 per week prior to your injury but can only earn $500 after the injury, the insurance company will have to pay you 2/3 of $500, which is your present wage loss. The insurance company will issue a document notifying you that your benefits have been modified or will file a petition with the judge seeking an order allowing it to modify your benefits. It is important to let your lawyer know immediately if you return to work while receiving workers’ compensation benefits. Failure to notify the workers compensation insurance company that you have returned to work is fraud! The insurance company will have you examined approximately once every six months by a physician that they choose. They call this an “independent medical examination,” though it is hardly independent since the insurance company hand picks the doctor who will examine you. In any event, many times the doctor will write a report indicating that you have fully recovered from your work injuries, or, alternatively, opining that you are capable of returning to work in some capacity, whether full duty or otherwise. In such circumstances, the insurance company cannot simply stop paying you benefits. Rather, they must file a petition with a workers’ compensation judge to terminate your benefits if the report indicates you have fully recovered, or to modify or suspend your benefits if the insurance company is alleging that you are capable of working in some capacity and work was offered to you that you refused, or, alternatively, they have identified work available through you by way of a labor market survey. You and your attorney will receive notice of the filing of the petition and will have an opportunity to defend the case by presenting testimony and medical evidence demonstrating that you are not recovered and/or remain incapable of returning to work as alleged. Much like the case with an original claim petition seeking benefits, this process will take roughly 9 months from start to finish, during which time you should continue receiving your weekly benefits. Under the law, after you have received benefits for 104 weeks following your work injury, the insurance company can ask the state to appoint a physician to perform what is called an impairment rating evaluation. The physician will examine you and provide a whole-person impairment rating. If that rating is under 50%, you will then be limited to an additional 500 weeks of benefits following the exam. If the rating is over 50% you will be able to continue receiving benefits indefinitely. The majority of individuals will receive a rating of under 50% and their benefits will therefore be limited to a maximum of an additional 500 weeks. 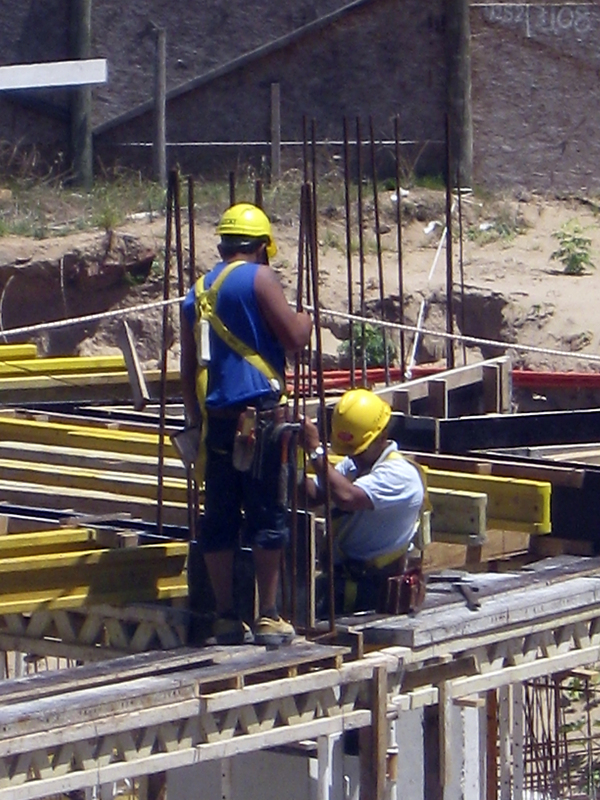 Many workers’ compensation cases settle, either before, during or after going to court. There are different types of settlements that an injured worker can enter into, and the type and amount of any settlement will depend on the facts of your case and your condition. Any workers’ compensation settlement entered into must be approved by a workers’ compensation judge. Typically, when a case is settled for a lump-sum amount, the weekly checks that you had been receiving will stop. That is the reason that the insurance companies settle cases-to stop writing the weekly checks. You should consult with an attorney before agreeing to any settlement, whether you had a lawyer previously or not. The insurance company will have an attorney representing its rights, and you ought to make sure that you have an attorney protecting yours and advising you as well. If you or a loved one have been hurt at work, feel free to contact the experienced workers’ compensation lawyers at Zavodnick, Zavodnick & Lasky, LLC or call (215) 875-7030 for a free consultation.